These are fantastic Aussie-made cider made from 100% Adelaide Hills fresh fruit, using whole pieces of fruit and no added sugar or concentrates to achieve a higher level of quality than most other domestic ciders. 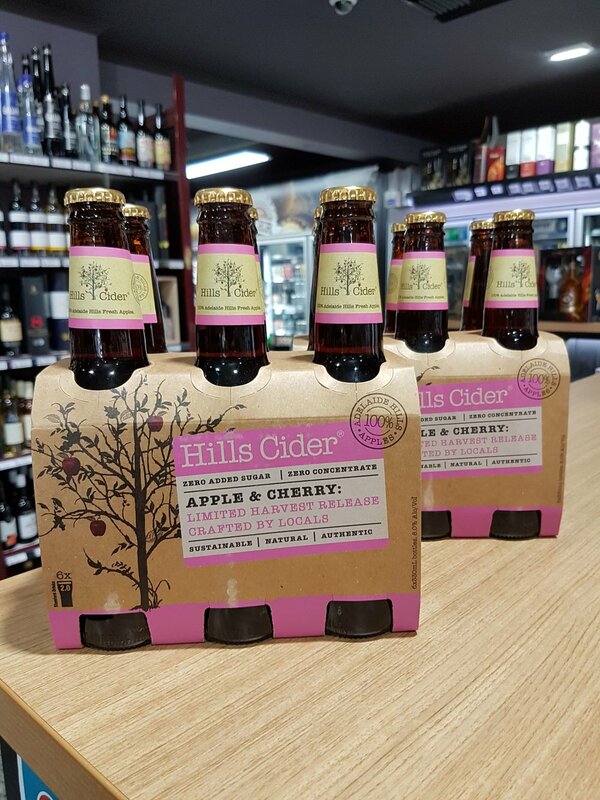 As one of the few cider producers in Australia with complete land to hand control over our product, Hills Cider Co has less boundaries and continue to raise the bar for Australian producers with new creations like their Cherry Hybrid Cider. Cherry Harvest in the Adelaide Hills is always an exciting time that marks the change over of another year. This release celebrates yet another year in the Adelaide Hills, and another successful cherry harvest from the growers used by Hills Cider Co. The cherries were extra sweet over harvest making for a real delicious drink when it arrived in store!